I have been interested in astronomy since I was a child. I was fascinated with the night sky so I started asking questions about it. My father found some astronomy books that he used when he was younger and those books allowed me to learn the major constellations and star names. My father also had an interest so he bought a refractor from a department store. We quickly found out that it was not what we wanted. He eventually upgraded to a Meade 2080LX telescope which I still use. This was back in 1985. When I got to high school, I lost interest in astronomy. Then in 1998, I started using my father’s telescope again. I quickly realized how much I loved astronomy when I was a child and became hooked. I have since become active in the local astronomy club, the Columbus Astronomical Society, and I volunteer at Perkins Observatory during public programs. 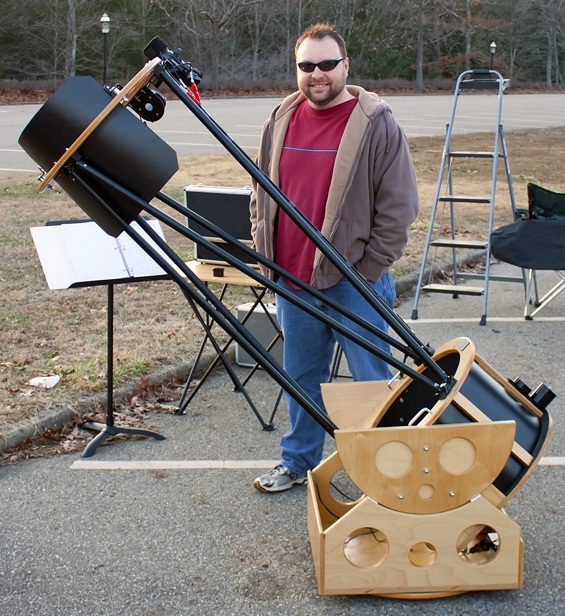 My astronomical interests include Amateur Telescope Making, Deep Sky Observing and Variable Star Estimating (my AAVSO observer identifier is HJS). I have built 4 telescopes, 3 of them I built for myself, and 1 of them I built for a customer. I also enjoy astronomical sketching, although I am not very good at it yet. But I am getting better. I used to enjoy astroimaging, but I decided to get out of imaging because I found I was more frustrated than anything and I longed to just observe. I tend to like to keep things simple when it comes to observing. I do not use any type of digital setting circles when I observe. Just my maps. For eyepieces, I use a Televue Naglers and Panoptics. I am also a Christian and I believe that the universe was created by God. My favorite verse is Psalm 19:1. It really brings it home when I look through my telescope or an image a deep space object. I have found that when I sit under the stars, I feel closer to God. My other interests include Amateur Radio, Electronic Music Composition, Reading SciFi/Fantasy Novels, collecting old books, watching movies, and spending time with my wife.